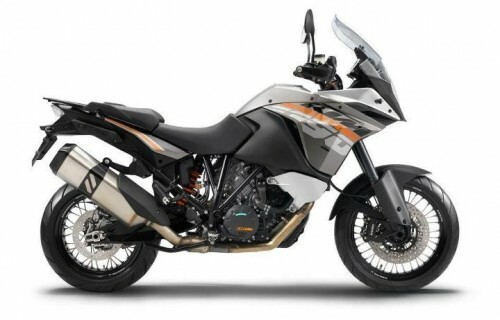 When news broke yesterday of leaked details of the new 2013 KTM 1190 Adventure, the first question that crossed our minds was “when do we find out about the R version?” The answer, it turns out, is today, with a new photograph of the 1190 Adventure R now surfacing. 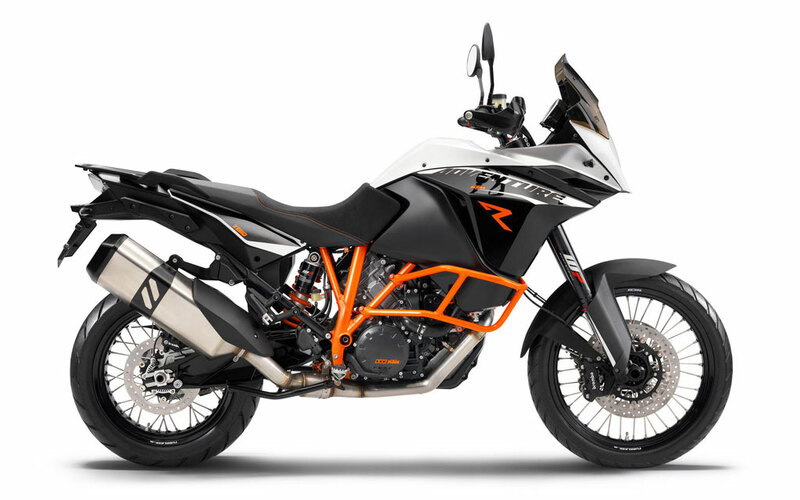 Members of ADVForum, where we found the original leaked KTM brochure, have uncovered new a studio photo of the R model as well as the non-R version. 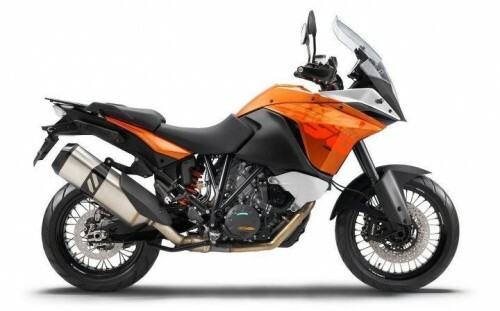 The 2013 KTM 1190 Adventure R is equipped with larger wheels than the base model, likely a 21-inch wheel up front and an 18-inch wheel at the rear (the non-R 1190 Adventure appears to sport a 19-inch front and 17-inch rear wheel.) 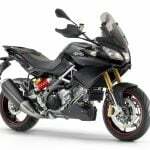 We are surprised the tires appear to be street tires and not knobby off-road rubbers. 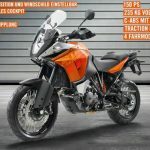 Other details include an orange trellis frame, like other KTM R models, matching crash bars, a different windscreen and, judging by the stickers on the fork, upgraded WP suspension. The seat is also different, with a one-piece unit compared to the non-R model’s separate passenger seat. 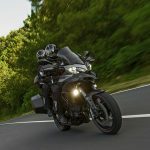 The engine will likely be unchanged, using the same 1195cc V-Twin engine as the base 1190 Aventure derived from the RC8 sportbike. 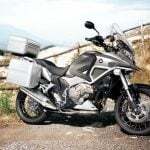 The R model will also likely have multiple riding modes, traction control and a slipper clutch. 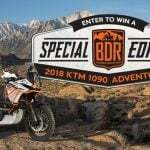 Below are the new pictures of the KTM 1190 Adventure and an animated gif showing the difference between the R and non-R versions. 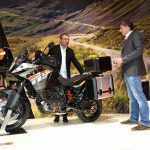 We’ll have more when KTM is expected tor reveal the two new Adventure models at the 2012 Intermot show in Cologne, Germany.